6figurenewsletters.com — Stop Being a Best-Kept Secret… – and Thrive! A new way to create a profitable newsletter system for your business. 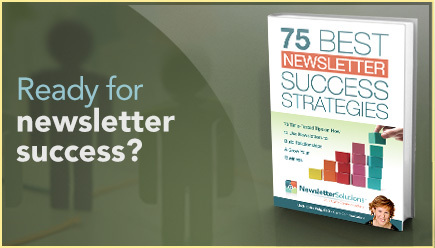 Get the popular 6-Figure Newsletter Secrets program here. Ready2Go ArticlesReady2Go BrochuresYou stay in touch, we do the work. EASY! Linda is THE go-to expert on newsletter & email marketing. Transform your business with her coaching and support.